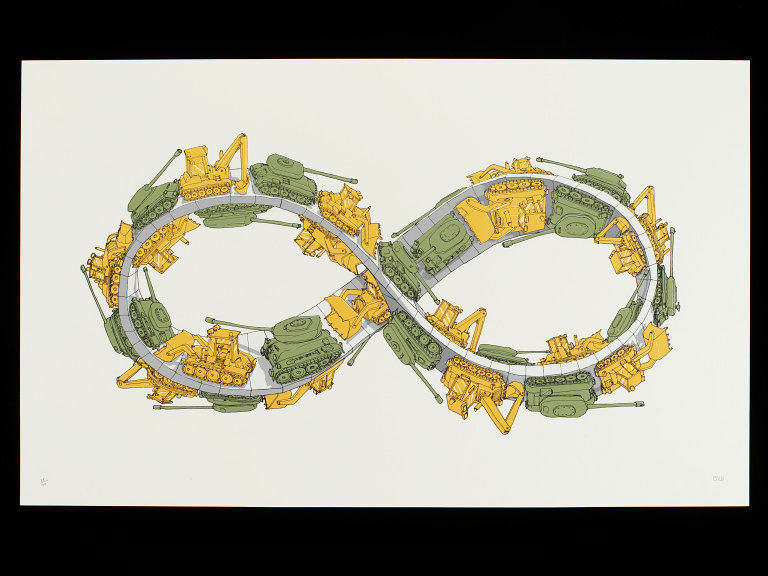 Street art print depicting army tanks and diggers driving around a figure of eight. Print, street art, colour screen print, army tanks and diggers, 'Gaza Strip', Blu, probably United Kingdom, ca. 2009.